Yasiel Puig reportedly received death threats from human traffickers under the control of a Mexican drug cartel. SAN FRANCISCO — Seated facing his locker with headphones covering his ears, Yasiel Puig stared down into his phone. He never looked up. Roman Barinas, the Dodgers’ manager of international scouting, stood next to him. "He’s probably not going to talk," Barinas said. Before the Dodgers’ game against San Francisco Giants on Tuesday at AT&T Park, it was evident Manager Don Mattingly also didn’t want to address the Los Angeles Magazine article detailing Puig’s escape from Cuba. 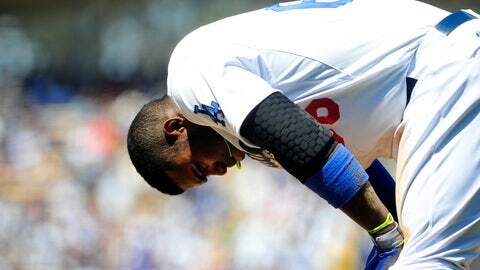 According to the story, Puig subsequently received death threats from human traffickers under the control of a Mexican drug cartel. The Dodgers lost to the Giants 3-2 in 12 innings early Wednesday morning after Kenley Jansen blew a save in the ninth. San Francisco’s Hector Sanchez drove in Brandon Crawford for the winning run off reliever Brandon League just before 12:15 a.m. PT. Mattingly acknowledged he spoke to Puig to check in on his state of mind, which he described as "fine." Mattingly said he didn’t read the story, but had heard some of the details. Asked if he was concerned about his team’s safety, Mattingly replied, "No." Mattingly said he had no idea last year that Puig received death threats. 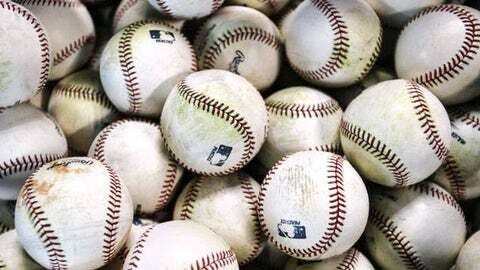 "I worry about the baseball side of it," Mattingly said. "I don’t know what goes on, I don’t know what went on or how it happened, I don’t know if the guy who wrote the article knows what happened or what went on because I haven’t heard Yasiel say anything about it. I don’t think it’s really my place to talk about it." It was suggested to Mattingly what happens to Puig off the field could affect him on it. "We haven’t see any differences from the time we’ve had him," Mattingly said. "We continue to try to help him mature as a player. That’s what we do. We don’t know about the other stuff." Asked if he found the "other stuff" scary, Mattingly replied, "Again, I haven’t read it. I’ve just heard little tidbits. I wouldn’t even know what I was talking about. "He hasn’t changed since he’s been here, really. He’s still Yasiel. He’s been the same kind of kid, really, the whole time. Hopefully, from our standpoint, baseball-wise, he’s getting a little better all the time." Inside the Dodgers clubhouse, the day was like any other. Puig’s teammates sounded as if they had little curiosity about the magazine article. The players who spoke about it didn’t want to be identified. Asked if he had any concerns about the team’s safety, one player replied, "Maybe a little more." More interesting to the players was how much Puig reportedly is paying the financial backer of his escape from Cuba. Puig owes 20 percent of his earnings to a Miami man with a criminal background, according to the magazine.